The 44 caliber ammo rounds have been around for many years and there are some ammunition loads that are obscure or unknown among most modern .44 handgun shooters. U.S.A. –-(Ammoland.com)- Lets talk about the wide range of members in the . 44 caliber ammunition load category. A couple of good obscure examples are the 11 mm German and French. Since they have the same bullet as other 44 rounds they will be included in my run down of the .44 caliber family of ammo. Actually, most of them have a bullet diameter of .427 to .430 which makes them an actual 42 or 43 calibers but for some reason they are referred to as 44’s. Maybe it is sexier to say 44 as opposed to 42. If you want to be totally inclusive about real 44 caliber rounds then you would be discussing rounds such as the 11 mm Mauser and 11 mm Gras. They, among others, have a bullet diameter of .446 or something very close so that would make them a 44. Be that as it may, we will stick with the handguns that shoot the .427 to .430 bullets. Similar to .45 rounds, power goes from seriously anemic to quite powerful. An old .44 caliber round used by the British was the 44 Bulldog, which came out in 1880. It is a very low powered round used in small handguns for close quarters self-defense. The case is a shortened 44 Russian round with a light for caliber bullet. I swage a 148 grain 38 WC made from pure lead and it makes a satisfactory bullet. Making that and similar bullets is an easy one step process. Accuracy beyond a couple of feet is of no importance as there isn’t enough power past a few feet. You would have a difficult time getting more then 300 to 350 FPS giving less punch then a 22 short. However, at one time the 44 Bulldog enjoyed some popularity due to its small size and the Webley, British Bull Dog and the H & R handguns were chambered for it. American ammo companies loaded it through the 1930’s using both black powder and smokeless loads. The smokeless would probably give superior ballistics with one listing giving a 170 grain at 450 FPS giving it almost 80 FT LBS of energy. That would be superior to some of the old rimfire rounds of the day. An even earlier .44 load, was the 44 Webley also known as the 442 Kurtz. It was introduced in 1868 and the first to adopt it was the Irish Constabulary and some British police forces used it. In power is was close to the 41 Long Colt which was useful at close ranges. It shot either a 200 or 220 grain bullet which gave it approximately 230 FT LBS of energy. One reference calls for a .436, however slugging the barrel may pay off. It was moderately popular until replaced by more modern weapons. The 44 Colt was adopted by the US military in 1871 and used until replaced by the 45 Colt in 1873. Bullets were heeled, weighing from 210 to 225 grains. Black powder loads produced in the neighborhood of 650 to 700 FPS averaging 200 to 210 FT. LBS. of energy which was fairly effective at close range. The 11 mm French was introduced in 1873 for their Ordinance revolver. Even though it isn’t called a 44, it does shoot a 44-caliber bullet. The case is a shortened 44 special or Russian and the rim is thinned. Someone who makes custom brass can make this round. The case is quite short therefore a light bullet in the 180 to 200 grain range is heavy enough. One load I found is a 180 grain at 695 FPS so it’s not earth shaking. I have seen where a .451 bullet is used but it would have to be a heeled bullet otherwise it would not work. I have made the ammo with a .429 diameter and it works in a satisfactory manner though power and accuracy isn’t the best. One reference calls for a .425 diameter which would make sense. Black powder should be used to keep pressures down. It was used by the French until they replaced it with another underpowered round, the 8 mm Lebel. The 11 mm German was introduced in 1879, and like the French the German used a 44-caliber bullet. Some references call for a .451 diameter but it would have to be heeled in order to work and I have never run across those bullets. Other references call for a .425 diameter which would make sense. A 44 special or magnum case can be shortened and the rim worked to fit. It is longer than the French and resembles a 44 Russian round. It is thought that the 44 Russian influenced the German round as they are so similar. The last batch I loaded used a 200-grain bullet and black powder. A listed load shows a 260-grain bullet at 700 FPS which gives it around 285 FT LBS. which would make it a useful close range number. Some original ammo may have used a heeled bullet. Like many of those old guns it pays to experiment to see what works best. Black powder should be used unless you are familiar with using light loads of smokeless powder. Most of these military guns are well made but they are not getting any younger and the metals used back then are not as good as today’s. Smith & Wesson try at the 44 caliber rounds included the 44 S&W American, introduced in either 1869 or 1870. It used a .434 bullet and black powder and according to some references, the military used it from 1871 to 1873, when it was replaced by the 45 Colt. The same can be said about the 44 Colt. In 1882, the 44 Merwin & Hulbert was introduced. It was similar to other 44 handguns of the period in power. Like most of the others, a shortened 44 special case is used along with a 200-grain bullet backed by black powder. I have made ammo for and shot this gun and it is decently accurate at closer ranges. Some references call for a .424 diameter but I used a .427 in my loadings. Like many of those guns, it is a good idea to slug the barrel and measure the chamber prior to making ammo. One of the oldest 44 rounds is the 44 Russian. It was adopted by the Russian military in 1870 and turned out to be a popular round. A few years later some commercial guns were made. It is known for its great accuracy and the cowboy shooters adopted it. Buffalo Bill was a fan of this round. Loads for both black powder and smokeless have been loaded and is still offered today. Starline makes cases and a 44 special can be shortened if the Russian brass can’t be located. The original load used a 246 grain RN at 700 to 750 FPS depending on load. It was a decent close range load and some claimed that it was accurate past 100 yards. It can be fired in a 44 special or 44 mag which gives the shooter easy access to mild loads. A short case is usually the best for light loads as with less airspace light loads are easier to develop so even today it is still used. Popular in both handguns and rifles was the 44-40. Originally adopted in 1873 for the Winchester model 73 rifle, Colt also picked it up by 1878. It quickly became obvious that it was a good round in both guns and became a good combo for pioneers. It is responsible for such rounds as the 44 Colt and American being dropped because it was superior to those and other similar rounds. It has enough power for hunting at short ranges and can handle social situations as well. At one time, just about anyone who made guns chambered some for this round. It was the second most popular handgun round behind the 45 Colt. Like the 45 Colt both guns and ammo are made today for it. The 44-40 and 45 Colt loads require caution when developing new loads. Many are designed for black powder type loads and should not be exceeded. In a modern gun ballistics can be impressive. A 200-grain bullet can safely be driven to 1800 FPS in a rifle such as a model 92. That puts it in a deer hunting category. I own a Taylor SA known as the Smokewagon, and that gun is a joy to shoot with good accuracy, trigger pull, and balance. Most loads use a 200-grain bullet sized to .427 something to keep in mind. A .429 or .430 may prove to be too tight to use. If I have some .430 bullets around they are sized in a Lee die so that expands the choice. Starline makes the brass so you are in luck there. It is also easy to size to 30-40 in case you can’t find that brass. 44 Special : In 1907 one of the great all-time 44 caliber rounds was introduced, known as the forty-four special. Another 44 caliber round , the 44 Special , can also be loaded with birdshot. It is nothing more than the 44 Russia lengthened .2”. The smokeless powders of the day were bulkier than today’s so the longer case did better with them. It was at one time loaded with black powder as well. It was and still is well liked by just about everyone. It is extremely accurate and with heavy loads, it is nearly as powerful as the 44 magnum. Flexibility is another one of its many virtues. Both 44 brass and 44 ammo are available and there is a lot of cast slugs ( 44 Bullets ) as well. Guns are still made and many custom jobs are floating around; on some occasions, I carry my Charter Arms as it is light and compact. More important, it packs a punch and some light weight bullets are available. As with some other handguns I own the bullets are made by me. My favorite in this gun is a 170 gr half jacket HP. Like the Russian it can be used in a 44 mag in case light loads are desired. Smith & Wesson 44 Spec. In 1955, the 44 magnum was introduced and at that time was the most powerful handgun round commercially available. Elmer Keith among others are credited with its development as they want something more powerful than a 44 special. They merely lengthened the case and increased pressure. 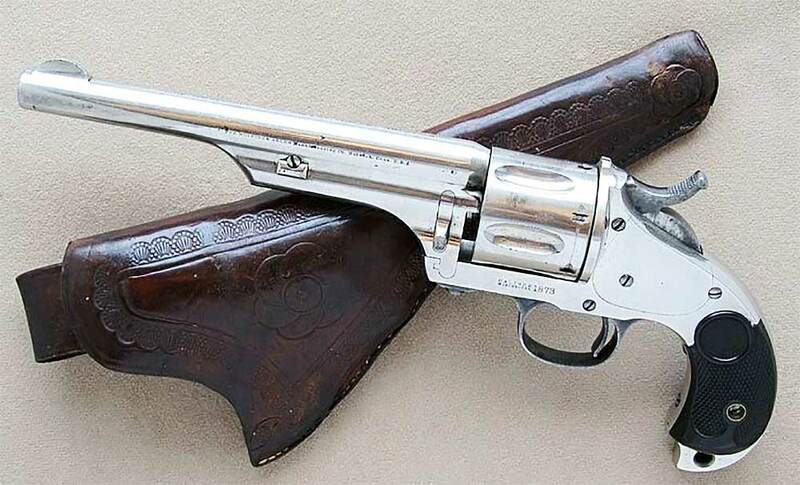 Smith & Wesson chambered their model 29 for it and it wasn’t too long before other companies chambered revolvers for it as well, such as the Ruger Blackhawk. There are many virtues that the 44 enjoys. It is very accurate and flexible. There are a number of rifle and handguns chambered for it. If you want a powerful semi auto then you are in luck as the Desert Eagle chambers it for the 44 and 50 A & E.
Everyone makes 44 ammunition and loading components in every imaginable style. It can be loaded down but a 44 Russian or special can be used for light loads. My first 44 was a Herters and while it didn’t cost much in a moment of stupidity I sold it. There are a number of handgun rounds more powerful some much more. 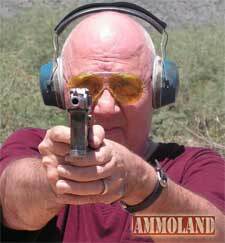 The problem is not many shooters can handle more recoil that a 44 magnum generates. Therefore, if you can’t handle the recoil it doesn’t make sense to buy such a gun. The 44 can handle almost any game that should be shot with a handgun so if you are using the right bullet and correctly place your shots then you are in luck as the power is there. If you are carrying a 44 magnum rifle that will give you an additional 300 to 400 FPS which is considerable. I have known a couple of folks that bought a super powered revolver only to sell if after firing it just a few times. They soon realized that they couldn’t handle the recoil and muzzle blast. If a powerful semi auto pistol, chambered in a 44 caliber, is something you want then you are in luck. In 1971, the .44 Magnum was chambered in the Auto Mag pistol (.44 AMP) brought out by Harry Sanford. For a time, High Standard made the gun but unfortunately there were some problems with their finances. The handgun was made on a spotty basis and today it would be costly and difficult to obtain one. There were a couple more made but like the original, various problems occurred. The round is basically a rimless 44 mag which makes it one of a handful of serious big game hunting round in a semi auto pistol. Originally cases were made from 308 or 30-06 shortened and the inside reamed to enable a .429 bullet to fit. A company in Mexico known as Cartuchos Deportivos with a CDM headstamp made brass for a time. Norma made loaded ammo at one time though it was dropped years ago. Today some custom makers offer it and Starline makes the brass. It has the ability to handle any large game that the revolver round will. Years ago, I shot one and it was very accurate at 25 yards that we were using. I am not sure if anyone is making one today which is unfortunate. Along with a couple of other high power auto rounds they just don’t seem to catch on in spite of their virtues. A shame. A round that isn’t well known is the 445 Super Magnum. Elgin Gates designed this round for 200-yard silhouette shooting. The case is 3/8” longer than the 44 mag, therefore, it will produce about 300 FPS more than the 44 mag is capable of. It does the job that it was designed for and like most 44 caliber rounds it produces good accuracy. The only gun that chambered it, as far as I know, is the Dan Wesson. It would make a good rifle round but no one makes a rifle, but it should be usable in a 444 Marlin. If you want reduced loads I would recommend using a shorter case such as the 44 mag or special. The 444 Marlin was designed for rifles but there are some handguns made for it so it will be included. In 1964, the Marlin 336 was introduced for this round. In power, it has ample power for most big game but initially the bullets used were made for the 44 mag hence they didn’t always do well. That situation has changed along with a couple of revolvers introduced. If you like rifle calibers in revolvers BFR makes the 444 as well as the 45-70 and 30-30. I did a review on the Magnum Research BFR Revolver In 30-30 Win and it shot very well though it is massive. As with most of these types of revolvers you will give up from 3 to 500 FPS in a handgun. 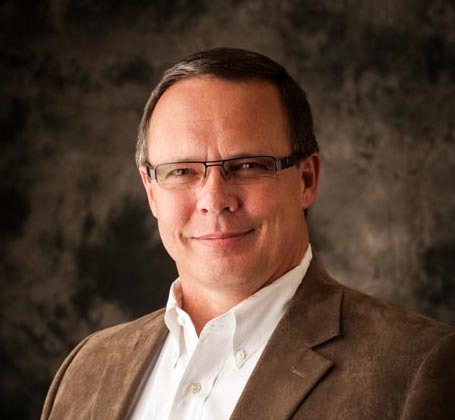 Muzzle blast and recoil may be too much for some owners. Years ago, I knew a guy that had a 44 mag TC rechambered for the 444 Marlin. It was totally obnoxious to shoot and most only shot it once or twice. Fear of injury prevented a few others from even trying it. While it is a good rifle round with good bullets in my view it leaves a lot to be desired in a handgun. If you want something different then this might be for you as you can shoot shorter 44 rounds in it. You can however use the shorter rounds for target practice. Just to mention there were a couple of 44 rimfires made for revolvers of the period. The 44 short came out in the 1860’s and a couple of handguns were chambered for it including the Allen, Forehand & Wadsworth, and Remington. It used 200 grain bullets with ballistics similar to the anemic British Bulldog. It was fairly popular for a few years until better centerfires became available. 44 Henry, 38, 32 short and 30 all rimfires. The 44 Henry was a well-known rifle round used during the civil war. However, Colt chambered a few revolvers for it so it would be possible to have a rifle and handgun chambered for this round. Like most of those 44’s of the period it used a 200-grain bullet and about 25 grains of black powder. The 44-40 killed off most of the early centerfire as well as the rimfires. I imagine there are various wildcats that are 44 caliber and perhaps another antique or two. If you were getting liberal with you bullet diameters you could pick up such items as a 10.4 Bodeo that uses a .422 diameter bullet and a couple of others but space doesn’t allow it. I hope you enjoyed this round up of the most interesting machinations of the . 44 caliber ammo or ammunition. I would love to see your comments on favorites as well as any that I missed that AmmoLand News readers should know about. I noticed your article and just wanted to inform there are a few potentially dangerous suggestions mentioned. If you shoot them in the 444, the case will expand with possible case head separation. I own a 2nd model open top Merwin Hulbert chambered in .44 MH and would to shoot it with low power rounds. Are you saying a shorten .44 special case will work? Noticed the Merwin Hulbert in your picture is a 44-40. Designating cartridge by case diameter rather than bullet diameter is not unique to .44 cartridges, it’s also common to the .38 Special, .380 ACP, .32 ACP and others. VERY INTERESTING article, Bob!!! Thanks! I ALSO own a single action .44 Magnum I bought, mail order, from Herters in 1967! Just shot it Tuesday with Winchester .44 Spl 240 grain Cowboy Action ammo. SWEET SHOOTER with .44 SPLs! I shot a cylinder full (6 shots) ONE TIME ONLY at an indoor range using 240 gr Magnum ammo. Recoil was no problem but I SWEAR the lights went out with each shot!!! I always like reading about old bullets and guns and the evolution they make. Good article, thanks. Great article. I thoroughly enjoy the subject of comparative calibers, especially vintage ones. I have an old H&R “American” model in 44 caliber that I’ve been fixing up and trying to get into shootable condition for a few years now. Finding parts isn’t the easiest. From what I have read before it’s chambered for the 44 Webley round with various sources stating that the Webley and Bulldog rounds were synonymous. You mentioned the H&R revolvers being chambered for the Bulldog round, above, that looks smaller then the Webley, pictured below it. Now I’m confused. Every H&R resource, including W. E. Bill Goforths extensive book on H&R firearms. Thanks for the great article Bob. I have about a dozen. 44 caliber revolvers and enjoy shooting them. But there is one in particular that is simply a joy. It’s a 3in barreled, 5 shot Rossi. Smoothest action I’ve ever used with superior accuracy. Rossi Model 720 stainless steel! I own one!!! What loads do you use in it? Mine likes Hornady 180 grain 1000 fps out of a test barrel but I have not chronographed it out of the 720s 3-inch. Nice article. Love these kinds of informational articles. Thanks for the walk down memory lane, Bob. I enjoyed reading your article plus learned a thing or two ! Keep them in the ten ring. Bob: Just a great article, thanks. I have a Uberti SA with two cylinders, 44mag & 44-40. Although the ammo is pricey I love shooting the 44-40, a very pleasant round in a SA. Other factory produced “44 caliber” guns and ammo: 44 Automag and 440 CorBon.